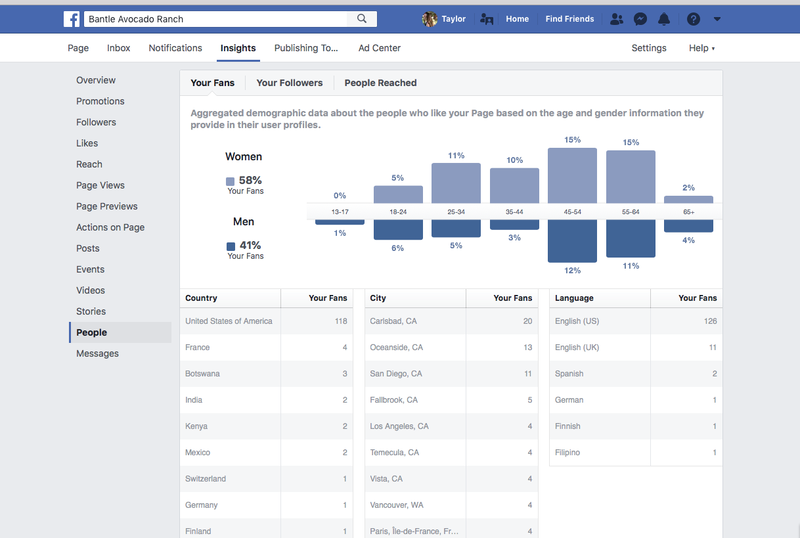 It appears that I am able to view more categories in Facebook Insights then I recall seeing before on our Facebook page: Bantle Avocado Ranch. We have 145 likes/followers now too. I don't remember "People" being an option before. This is really cool because I can now see whether they are male, female, their ages, where they are and languages spoken. I can see my fans, followers and people I reached. Women are our major customer ages 18-64, but we do have some men too. The activity on the page has increased as well. This inspires me to become more involved in posting more creative ads and content. Week 17 Wrapping it up!